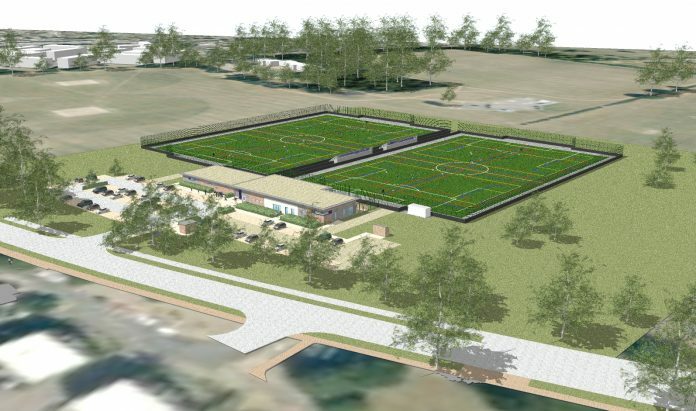 Construction consultancy Gleeds and specialist sporting architecture firm LK2 along with Couch Perry Wilkes and engineers BSP Consulting have secured a framework with UK sports charity the Football Foundation, providing services to improve hundreds of community sports facilities in northern England. LK2 partnered with Gleeds – the Framework Managing Consultant (FMC) – to win the coveted five-year framework which will primarily cover the improvement of local football facilities in the north of the country on behalf of the Football Foundation – the largest sports charity in the UK, funded by the Premier League, The Football Association and the Government (via Sport England). Other community sports such as cricket, rugby and hockey are also likely to benefit from the new programme. The scope of works will vary dependent on individual project requirements but will include design, supply and installation of modular buildings to provide new changing room and clubhouse facilities. It is part of a wider Government strategy to 2021 to improve ‘grassroots’ sporting facilities to encourage more community involvement. Gleeds director Anthony Cork, added: “We are delighted to take a place on this framework with LK2. Football is the national game and the biggest team sport in England. The Football Foundation has already overseen investment of over £1 billion in improving facilities since 2000, and Sport England has invested more than £70 million into sports facilities over the past four years. Speaking of the win, Dale Lui, managing director of LK2, said: “We were keen to support Gleeds with this framework bid acting as a sub-consultant on the framework. Our firms have huge combined expertise in the sporting facilities sector. Together we will provide design and construction consultancy support and help improve large numbers of facilities in the north of England. “This framework win is a huge achievement for LK2 and is a launch pad for our organisation, allowing us to work on a range of substantial projects. The framework provides the platform for us to now engage further with local authorities, national governing bodies of sports and similar organisations to help deliver the wider sport and leisure initiative outlined in Sport England’s Towards an Active Nation strategy. “We will be able to provide high level strategic advice and guidance to private developers, land owners and asset managers alike on development and procurement routes – asset transfer, capital recipients from land sale, planning leverage and grant aid. Nilesh Mistry, director at Couch Perry Wilkes, said: “We are very proud to join our peers LK2, Gleeds and BSP on this framework, which is an outstanding example of industry-wide collaboration and will no doubt deliver some truly excellent projects.